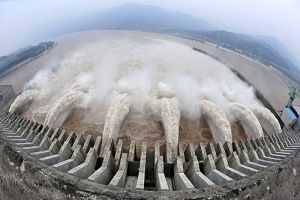 The BJP-led NDA government’s decision to facilitate resumption of stalled work at 2000 MW Lower Subansiri Hydro Power Project being constructed by the National Hydro-Power Corporation at Gerukamukh along the Assam-Arunachal Pradesh boundary has not gone down well with many anti-dam organisations in Assam. They fear a catastrophic downstream impact by the mega dam project. The influential All Assam Students’ Union on Thursday stated that the NDA government’s approval for resumption of work was not acceptable given that the matter was now under the consideration of an expert committee. AASU leader Dr Samujjal Bhattacharyya said that resumption of construction works at the NHPC dam site wouldn’t be acceptable until the experts submit a report. The AASU has announced that it would resort to 'satyagraha' on July 7 and form of human chains on both sides of the national highways in Assam on July 12 to protest the NDA government’s unilateral decision. The AASU also sounded sceptical about the BJP government’s proposal to give multiple visa for five years to Bangladeshi citizens under the age of 13 years and above the age of 65 years. “When those coming from Bangladesh with limited period visas go missing in Assam, how can we expect those coming with visa for five years will go back to Bangladesh? The multiple visa for five years will make Assam a Bangladesh. The government of India must be sensitive to the issue of illegal migration that is dogging Assam and threatening the identity of indigenous people,” an AASU leader said. The AASU reminded Prime Minister Narendra Modi of his widely published newspaper advertisement on April 7 where he had made an election promise to fence the India-Bangladesh border and detect, delete (from voters list) and deport illegal Bangadeshi migrants from Assam as well as updating the 1951National Register of Citizens in Assam at the war footing to facilitate easier detection of illegal Bangladeshi migrants who have settled down in Assam. “All these much trumpeted promises also include a constitutional safeguard to the indigenous people of Assam who have faced threat to their identity due to unabated illegal migration from Bangladesh,” AASU leader Dr Bhattacharyya said.